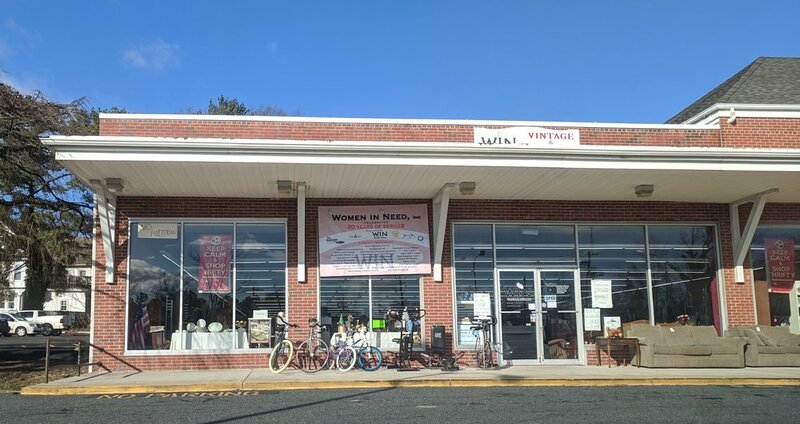 Welcome to Women in Need, located in historic Chestertown, MD. WIN staff from left to right: Jim Sottnick, Cheryl Hurt, Yvonne Arrowood, and Karen Dionisio. The Win Thrift Store opened it’s doors in May of 2002, accepting donations to fund the programs of Women In Need, a 501 (c) 3-non-profit organization. Donations are received during regular business hours (except in inclement weather). All donations must be received NO LATER THAN ONE HOUR BEFORE CLOSING, please bring items to the back of the store. Please call ahead to make sure we are able to process your donation. Important: Never leave items when the store is closed. Furniture, antiques, vintage items, collectibles, glassware, jewelry, and much more. Some of our special finds are available for purchase online and can be shipped or picked up locally. Check out these very special items! Thrift stores help meet the community’s need for affordable household items, supports local recycling efforts and reduces landfill waste. Education Scholarships, Business Empowerment Programming, Grants to local organizations. 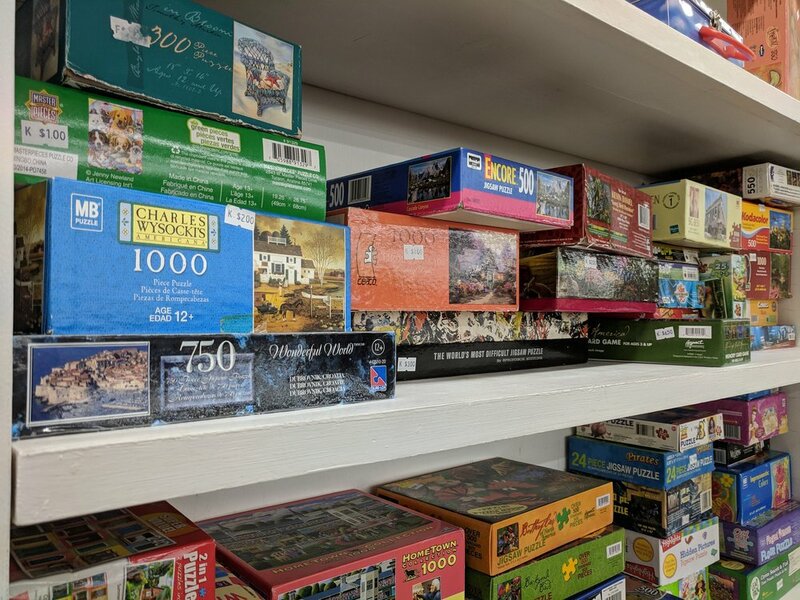 Over 95% our funding comes from thrift store sales. Thrift store shopping - good for your community. Reduce, Re-use, Recycle. By donating and shopping at your local thrift store, you reduce total landfill waste by re-using items that are still in good working condition. Thrift store shopping, recycling at its best - good for the environment. Why spend more, items in good condition for less! Thrift store shopping saves money - good for you. Recycling, Supporting local families, Saving money - Good for you!